To satisfy the variegated needs of the customers, we offer Bitumen Pressure Distributor. Our Bitumen Pressure Distributor consists of insulated bitumen tank of required Capacity with heating arrangement. Bitumen Pressure Distributor, supplied by us, cannot be matched in terms of quality and performance. 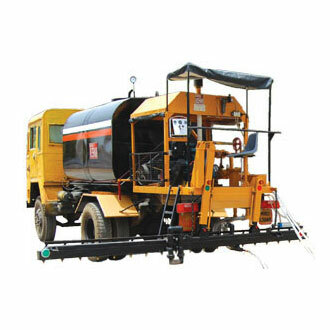 In addition, we are a famed Manufacturer, Exporter and Supplier of Bitumen Sprayer & Emulsion Sprayer. Spray bar of 2.5 mtrs and can be extended upto 4.2 mtrs. Suitable TATA / LAYLAND truck chassis of require Wheel base of sufficient pay load.